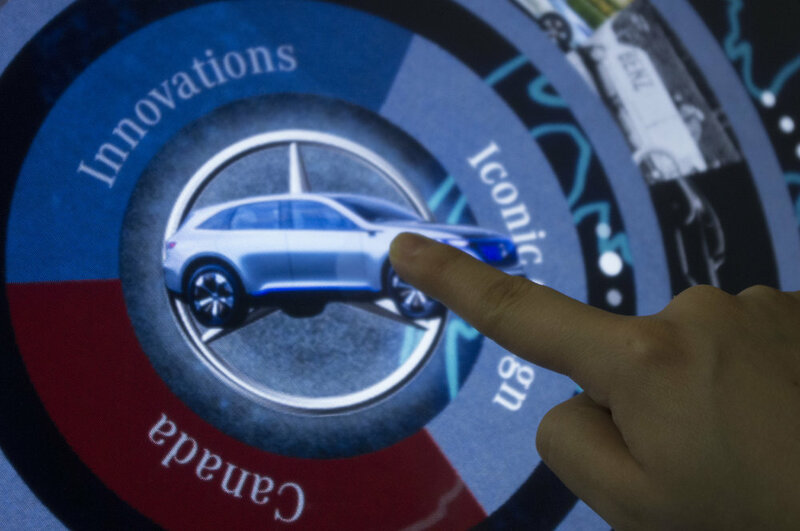 As part of an industry project at the Centre for Digital Media, I developed a multi-touch application for Mercedes-Benz. 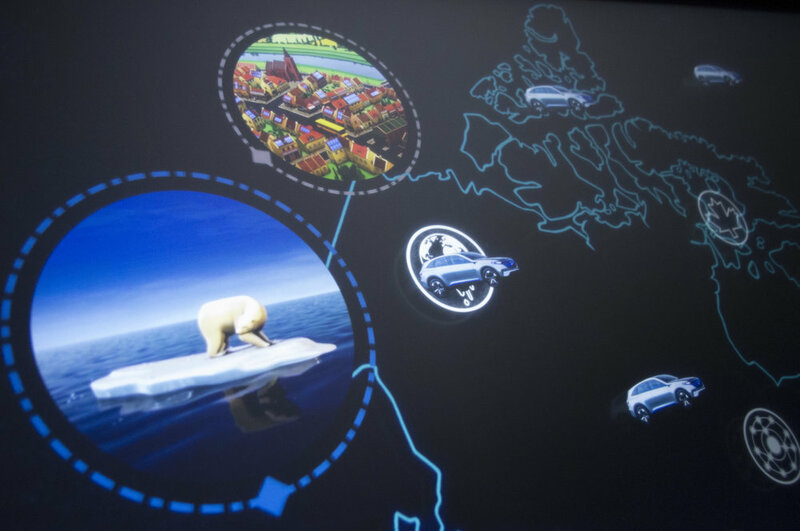 The exhibit was located at the Byward Market, Ottawa during the Canada-150 celebrations and saw more than 10,000 visitors. 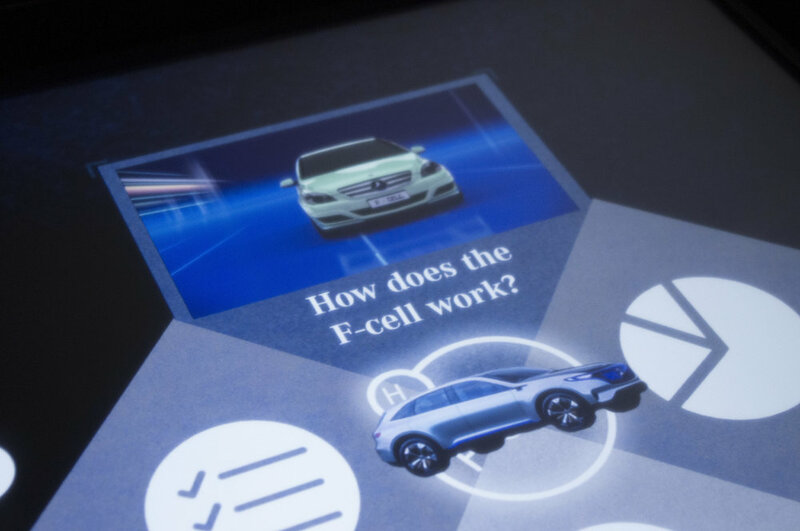 The team was challenged to showcase the story of Mercedes-Benz in Canada and its efforts to battle climate change using innovative eco-friendly F-Cell Technology in collaboration with Canadian institutions. Developer (Primary Role) and Artist (Secondary Role). 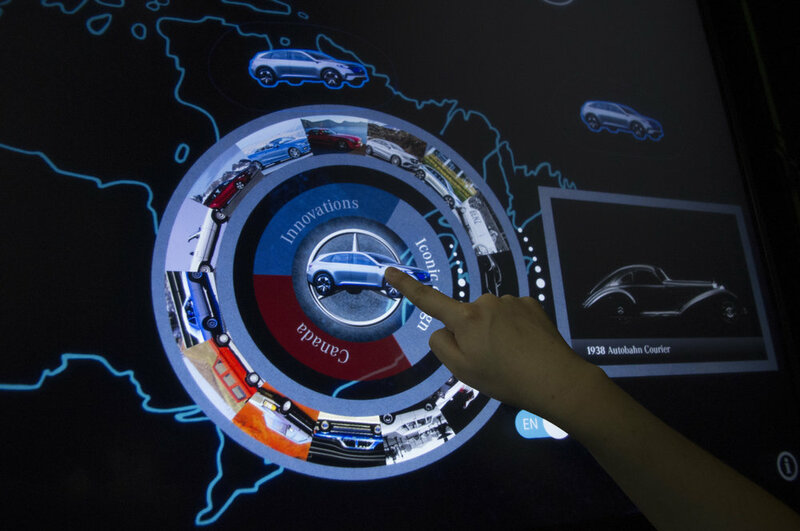 Developed and Debugged a multi-user interactive touch application. Worked in an intensive deadline driven environment to deliver a complete turnkey solution. Communicated effectively with remote clients and multiple stakeholders. 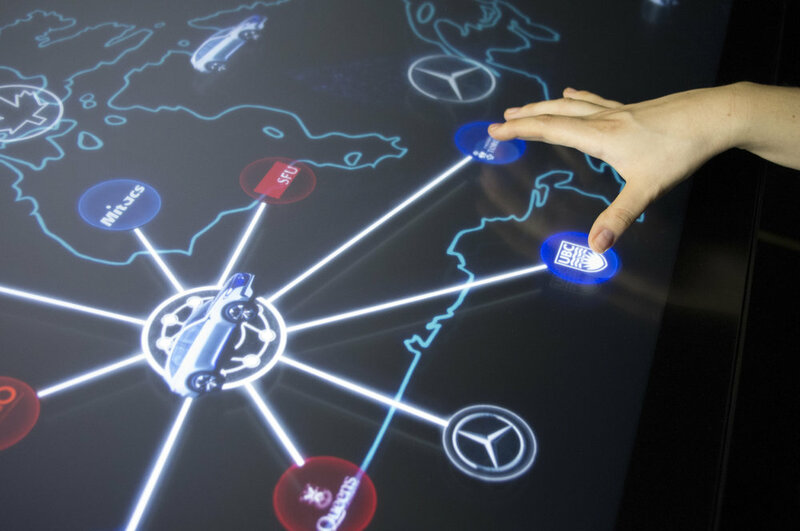 Generated background assets and helped establish and art style guide that was in line with Mercedes-Benz's branding guidelines. Facilitated communication between artists and developers.